Avid will showcase how the company's solutions can do almost everything through the cloud while still maintaining openness. One of the biggest announcements from Avid for the NAB Show 2019 is that MediaCentral | Cloud UX is now baked into all the Maestro graphics products. Through a plug-in, all of those tools can access content from within the centralized and indexed repository in MediaCentral. This access to MediaCentral | Cloud UX content also extends to the Maestro | Live real time sports production system that creates data-driven virtual graphics with the use of their patented image-based camera tracking module. Thompson said this can include output resolutions from UHD up to16K. Part of the beauty is that, because this all happens in the cloud, users can control over each of those systems from a Web browser. It’s all an outgrowth of Avid having acquired Orad Hi-Tec systems back in June, 2015, and its sophisticated 3D graphics, video servers and related asset management technology. 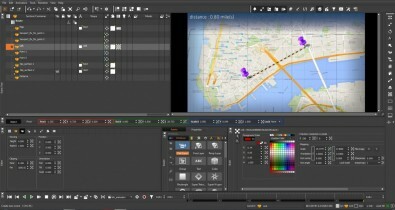 News is a universal controller for video and graphics with Maestro | Designer built in. There is even a plug-in for Media Composer for editing in the field. 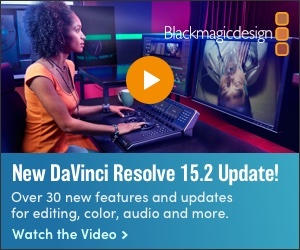 And to show their broad mindedness, Avid has also created one for Adobe Premiere CC. How far away are we from the day when you’ll only head back to the studio to get a fresh cup of coffee?